E45 Emollient Wash Cream is a soap free substitute for washing recommended by dermatologists for more serious dry skin conditions. Use for eczema dermatitis psoriasis and icthyosis. 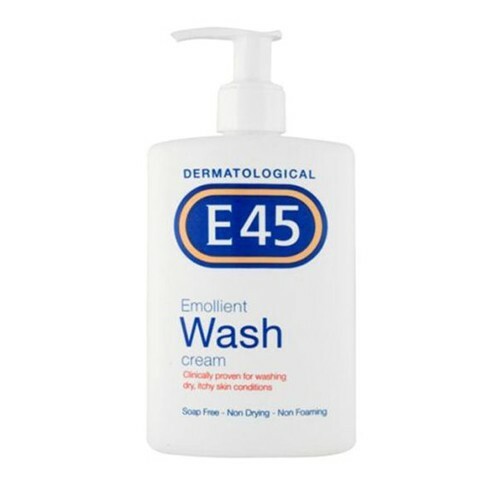 E45 Emollient Wash Cream is soap detergent and perfume free and dermatologically tested. Apply directly to wet skin, massage gently and rinse off. Always read the information provided on the packaging and enclosed Patient Information Leaflet before using.